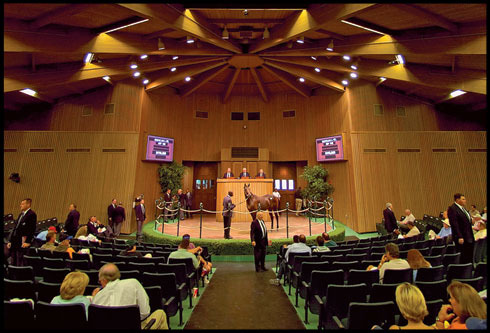 Keeneland has cataloged 4,319 yearlings for its 2011 September Yearling Sale (view catalog at Keeneland's website) to be held Sept. 11-24 in Lexington, Ky. This year's catalog includes 3,763 yearlings (87%) sired by TrueNicks subscribed stallions, meaning that complimentary reports are available for these hips. Use the link below to view the hips for the entire sale. Tabs are available for each of the 13 sessions.